During the school year, we do drama class as an elective at the junior high level. We focus on “The Three C’s”: Collaboration, Creativity, Communication. We learn how fun it is to work together with others in small groups and whole-class activities. We also learn how amazing and empowering it is to express oneself individually. We learn verbal and non-verbal communication strategies, empathy, elements of characterization and storyline, and how to receive and follow directions. We play games, sing songs, and listen. We observe. We use our bodies to express ideas, emotions, and thought. And we laugh. A lot. We honestly think that Shakespeare was onto something when he said “All the world’s a stage and all the men and women … “ (you know the rest). Junior high is hard enough, but if we go through it without ever playing or learning to actually hear another person, we miss out. As we grow up, if we can learn how to put our mind into someone else’s experience, their space, their fears and joys and ideas … if we can begin to learn to empathize … we believe the world will be a better place. Theatre instruction teaches us to value differences, to recognize and celebrate variety. When one learns how to tell one's thoughts clearly and listen to other's ideas intently, we can work together more effectively. When we work together, we can learn from each other and tell important stories. Stories matter. Your story matters. My story matters. Drama Enrichment is divided into two sections, fall and spring. In the fall, we focus on learning the language of the stage and becoming comfortable there. We do the work of learning stage directions, the basic language of the theatre, and how to deal with our inhibitions. We learn to listen and to observe and to play well with others (heh heh … see what we did there?). Toward the middle of fall drama club, we often put together a little performance piece for the Barnes & Noble fundraiser event, but this is just the proverbial “icing on the cake”. Mainly, fall drama club is an introduction to the basics of effective collaboration, expression, and rehearsal. We are very excited to announce a new section for drama club this year: *4th & 5th grades on Tuesday afternoons! 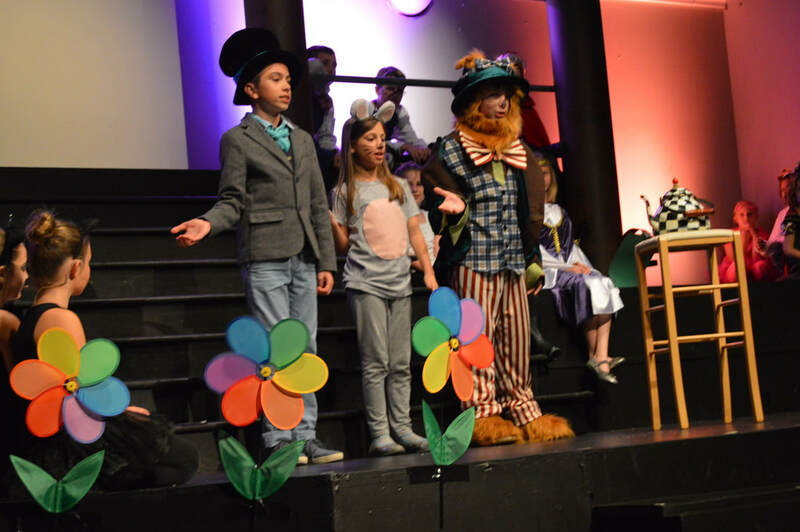 Spring drama club (grades 6 - 8) is devoted to preparation for our big spring show in May. We do “auditions” right away after winter break then jump right into rehearsals. NOTE: Every kid who signs up for spring drama club will get a part; we’re nice like that. Usually we add one Friday rehearsal per month as well as a couple Saturdays thrown in there to get some extra rehearsal hours, but don’t worry, the rehearsal schedule goes out well in advance. 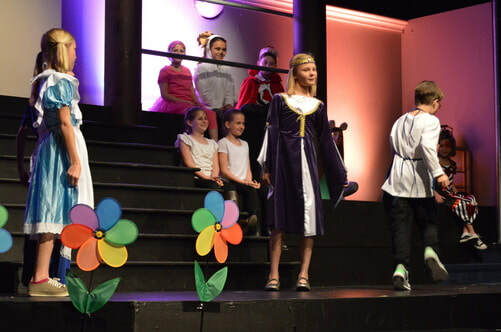 We usually do short musicals, and the kids work very hard and produce amazing results. It’s great fun, and we’re excited to see what Spring, 2019 will bring to the stage!